Last night, wandering through the house, I found myself thinking about Mom. Why? I did something she taught me – and you’ve done it, too. That moment when you head to a room and forget what you’re there after? She calls those the “here-afters.” I was in the basement before I realized what I wanted was 2 flights up. Geez. I sorted myself out and found what I was looking for and went on my way. Life’s like that though, isn’t it? We get busy zipping around, doing our thing and other things distract us from what’s at hand. I’m attending a workshop soon and part of my pre-class “homework” includes thinking about answers to several thought-provoking questions ~ some were easy for me, especially the question about passion. What I’m passionate about always comes down to this: it’s what’s not negotiable. It’s what I could never, ever leave behind. It’s how I behave and who I am whether anyone is around to know. I know, and that’s enough. It’s honing the traits and values that I’ve carried with me from middle school to middle age. It’s all of that and what’s yet to come. To that point, I saw this clip this morning and what he had to say resonated with me. But, to that end, I’m not helping you go to Hell, either. didn’t pull any punches with her… would hate to be her “friend” Becky. I read something funny on facebook. Take a wiff of rosemary plant and it will improve your memory up to 75%. Laughing I thought to myself, I better run out and take a sniff right now, because life has been so busy, I might forget. The truth of the matter, every time I look at our rosemary plant now, I don’t think cooking, I think I better take a sniff. I like your mother’s phrase, Now what did I come “here after?” I have wondered that sometimes, if your memory doesn’t match some one else’s, who’s lying? Maybe neither as both memories are precious. Interesting post today. Have a lovely day. The clip is hilarious! I have a good one. When I was married to my ex, he had a very controlling sister. We were supposed to be at her house for the big family celebration at 1 p.m. We lived 2 hours away. I had to work that morning and we had a lot going on. We both laid down for a 20 minute nap and yep, we overslept. We called at 1 saying we were just leaving. She asked what happened. We told her the truth. Her response was that we better come up with a better reason on the way over because no one was going to believe that. She would lie all the time to preserve her “image.” OMG! I haven’t thought of her in 20 years! She was as naïve about lying as the woman in the clip. He is so funny and his clips are often filled with some real gems. That woman in the clip couldn’t have been more clueless. If a clue walked up and hit her in the face she wouldn’t know what it was! Your former SIL — wow!! 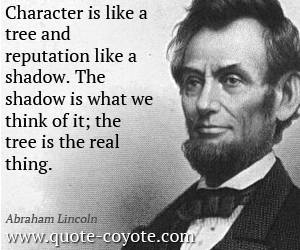 Recognizing the shadow for what it is, and then recognizing the tree for it’s substance. That’s the trick. I love this post MJ. It gets down and dirty. It also helps me to see beyond the impression I am always trying to make. Thank you for loving this post, Dor. It felt a little all over the place, and that’s how I felt writing it. Sometimes I have more to say than I can express, and the struggle is in communicating all of it so that it makes sense. I haven’t done a here-after for a while… but I’ve had my share! The video clip – is that woman for real? Who would be that stupid??? I find I do that more when I’m over-tired or stressed or both! Will have to come back to the clip. I like Steve Harvey’s sense of humor.